Denim in all its iterations provides a foundation for every modern woman’s rotating wardrobe. Season after season, high-end designers and contemporary brands alike dream up new ways to transform this timeless staple material into something new and exciting. This results in a panoply of denim trends to chose from. Deconstructed jeans, cut-off miniskirts and hybrid denim separates, rendered in shrewd patchwork constructions and multi-toned washes call to mind mid nineties deconstructionism. Quintessential Americana-influenced classics subverted with frayed raw edges, heavy distressing, and destroyed trims lend timeworn vintage appeal to everyday dressing. Showcasing innovative garment constructions, tailored patchworked suits stand out as particularly modern in streamlined cuts and silhouettes. You know a trend is destined to blow up and stick around when it gets the Rihanna’s streetstyle seal of approval. Let’s face it, the bad gal trendsetter can wear absolutely anything and her innate ability to turn any trend on it’s head is unmatched. On a recent night of partying at the Mayfair Club in London last week, Miss Riri was spotted rocking a distressed denim corset belt from creative director Ben Taverniti’s luxury streetwear brand Unravel layered over a classic 5-pocket denim miniskirt and crisp white poplin shirt ensemble. When she isn’t seen strutting her stuff on the countless fashion week catwalks, supermodel Bella Hadid is often snapped candidly flaunting some serious off-duty style. 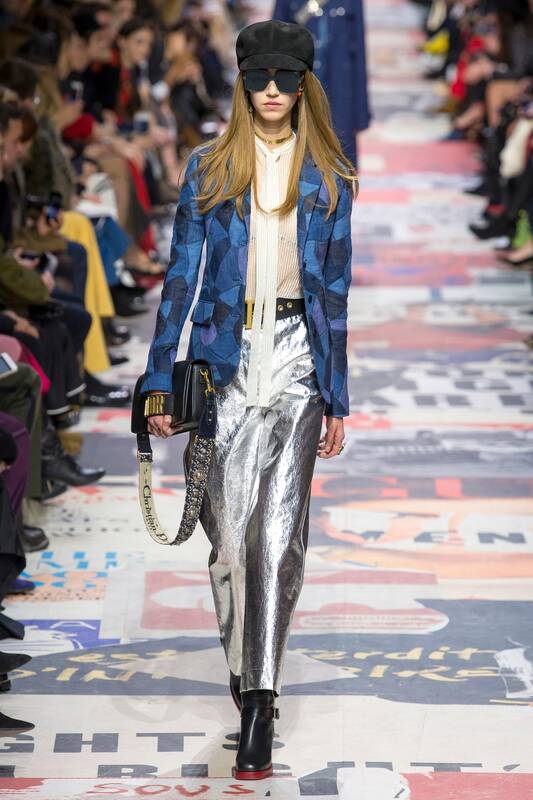 The bonafide streetstyle darling was seen wearing a head-to-toe patchworked denim look from Christian Dior’s Fall 18 collection. 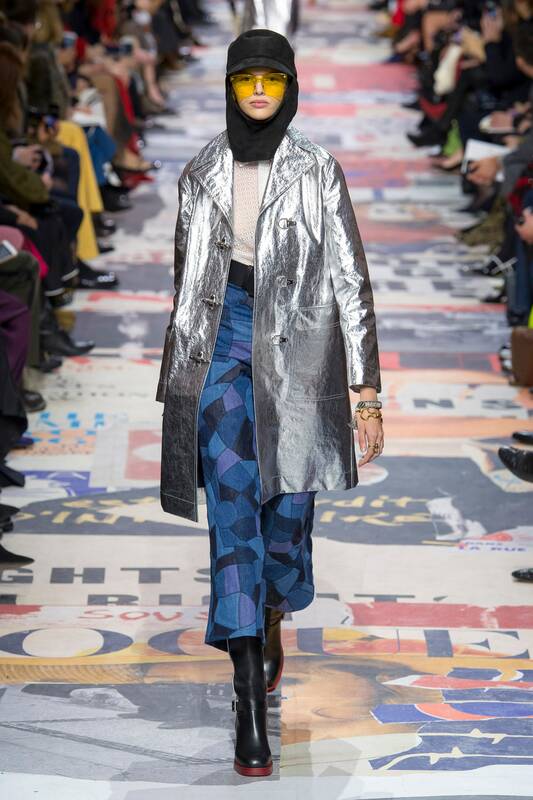 Balancing masculine-influenced refinement with effortlessly cool nonchalance, this 60’s-inspired tailored look threads a line between precision craftsmanship and streetwise irreverence. 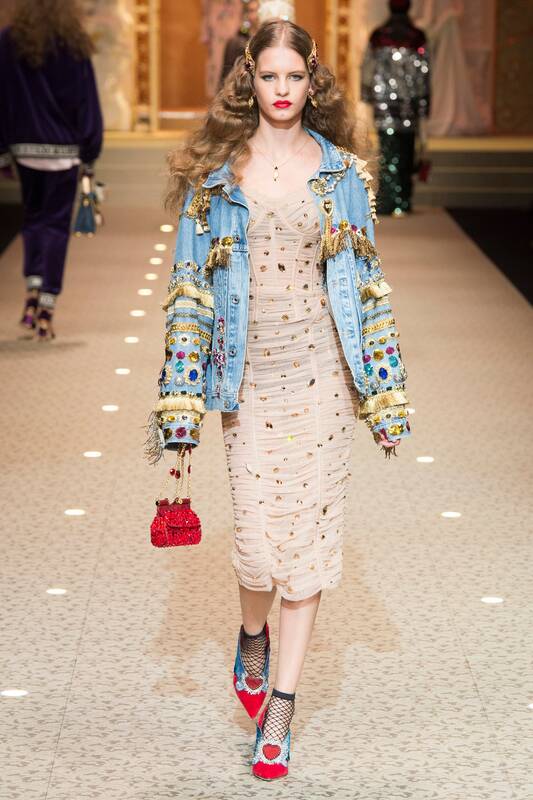 Believe it or not but looks like the 80s-inspired bedazzled denim trend will be in come Fall. With so many micro trends of the past returning back to the vestiary forefront, this glittery one was bound to make an appearance. While some brands update their seasonal denim offerings by simply tweaking successful silhouettes or developing new wash treatments, other labels explore more outlandish creative avenues in full embrace of a ‘more is more’ aesthetic. 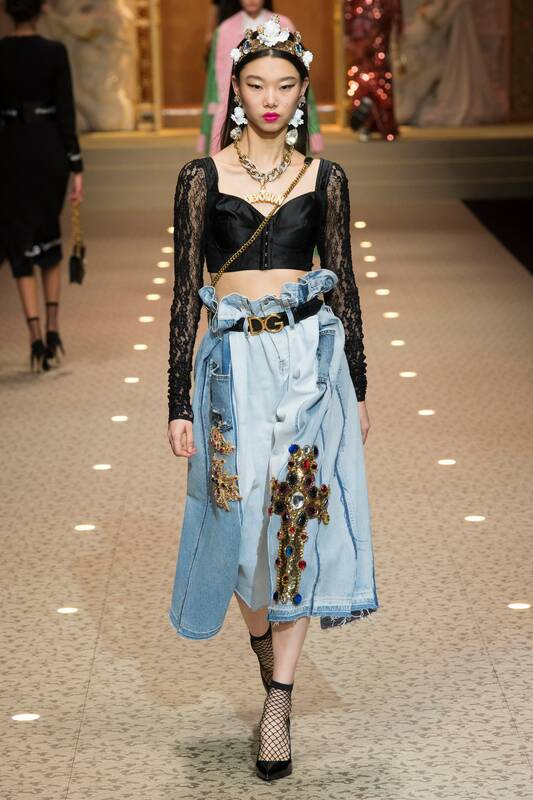 For Fall-Winter 2018, Dolce & Gabbana sent models down the runway wearing heavily embellished denim trucker jackets and two-toned wide-leg cropped jeans adorned with colorful rhinestones, faux pearls, and metallic fringe accents bridging the brand’s Italian sartorial panache with a fun luxe-craft edge. Which denim trend will you be incorporating into your wardrobe?